This property is truly one of a kind. Old stone terraced walls from farming days gone by. Fruit trees and your own spring. 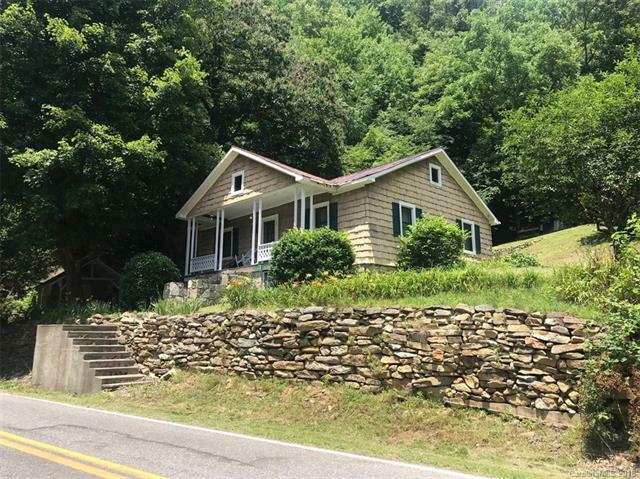 The property goes to the ridge and also goes across the road to Cane Creek. It is a beautiful property with a lot of potential. The house is four rooms and a bathroom. The power and water are temporarily cut off, so we have provided flash lights in each room, in case it is a rainy day when you are there. It is being sold AS-IS. You can sit on the porch and watch the creek roll by or sit on your back patio and listen to the spring run under your walking bridge. I hope that someone has the vision I have and chooses to save this little house and love it as much as the Seller did. Cash offers only. Please note that wood stove was removed by Seller subsequent to photos being taken.